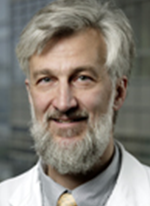 Dr. Christopher Ross is Professor of Psychiatry and Neuroscience at Johns Hopkins University School of Medicine. He received his M.D. and Ph.D. in Neuroscience at Cornell University School of Medicine and had clinical training in Psychiatry and Neuropsychiatry at Johns Hopkins. He then pursued post-doctoral work in the laboratories of Solomon Snyder at Johns Hopkins and Axel Ullrich at the Max Planck Institute in Martinsreid, Germany. Dr. Chris RossHis lab focuses on the neurobiology and neurogenetics of neuropsychiatric disorders including Huntington’s disease (HD), Parkinson’s disease, schizophrenia, and others. 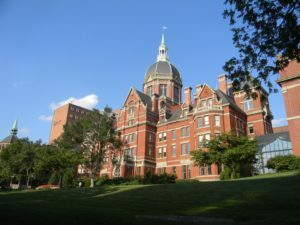 He is Director of the Baltimore Huntington’s Disease Center at Johns Hopkins, one of the two NIH-funded centers for the study of HD in the United States. The research in the different groups in the Center ranges from constructing cell and mouse models of HD to clinical and imaging studies of HD patients to clinical trials of novel therapeutic agents. He has sponsored trainees at the predoctoral, postdoctoral, and junior faculty levels, and his former trainees have faculty positions in the United States, Europe, and Japan. 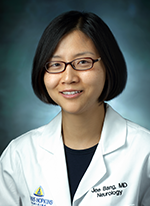 Dr. Jee Bang is the clinical director of the Johns Hopkins HDSA Huntington’s Disease Center of Excellence. She cares for patients with disorders of cognition and movement, such as Huntington disease, progressive supranuclear palsy, corticobasal degeneration, multiple system atrophy, dementia with Lewy bodies, frontotemporal dementia, and Alzheimer disease. She is passionate about and dedicated to working with HD patients as her career goal. 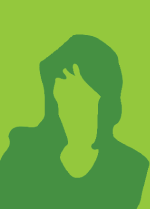 She is actively leading patient care, and as a site PI for HD studies, she is greatly invested in participating in future multi-site trials.